Sony has unveiled four new Blu-ray players, with the top of the range model (the Sony BDZ-X90) coming with a huge 500GB hard drive, which should see you right for 160 hours of HD recording. 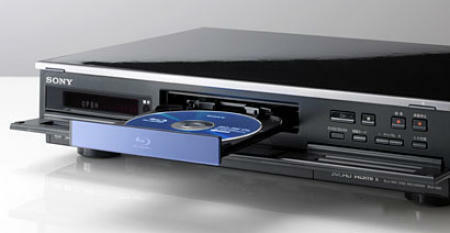 The other models (Sony BDZ-L70, BDZ-T70 and BDZ-T50) come with 320GB, 320GB and 50GB hard drives respectively. All four Blu-ray players support 1080p full-HD resolution at 24 frames per second, with the top-end X90 also supporting 60 frames per second. Even more impressively, the X90 also uses Deep Color technology, which apparently provides billions of colours rather than millions, making the colours much richer and the blacks much darker. All four models support DVD rewriting, letting you both play and record your shows either onto a Blu-ray disc or the hard drive. The low-end BDZ-T50 comes with a single analog tuner, while the other three each come with dual digital tuners and an analogue tuner, letting you record two channels simultaneously. Unfortunately, the new players are only being released in Japan at the moment (priced £602 – £860), but it at least gives us an idea of the new Blu-ray players that Sony should be releasing in other markets real soon. Is the Sony Giga Juke 80GB Wi-Fi Hi-Fi the perfect Micro System?